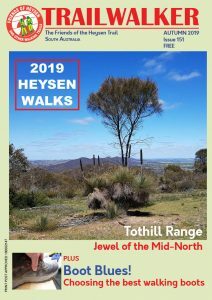 The Heysen Trail has been re-routed near Bundaleer Reservoir to avoid walking alongside the bitumen highway, instead walking along a safer more pleasant route across the paddocks beside the pipeline. June 2016 UPDATE: This temporary re-route has been closed, and the Trail has been restored and re-marked along the original Heysen Trail alignment, as shown in the guidebooks and mapsheets. Update October 2015: Curnows Hut has reopened following the 2013 bushfires. This re-route around the forest remains in place. The original 2013 re-route has been amended to include more forest, and New Campbell Hill. Curnows Hut remains closed for now. Following January 2013 Bundaleer Forest bushfire, Forestry SA advises that the Heysen Trail through the Forest remains closed until further notice due to danger of tree falls, logging and heavy vehicle traffic. Logging is expected to continue for several months. In the meantime, walkers may bypass the danger area by using Browns Track, from Gate BG1 on Neindorf Road (GR 710 159) to the Heysen western exit from the forest (GR 703 138). JULY 2015 UPDATE: This temporary re-route has been closed, and the Trail has been restored and re-marked to the original Heysen Trail route over The Bluff. However there are two small temporary re-routes. A major re-route of the Heysen Trail is in place around Wirrabara Forest, the site of the January/February 2014 Bangor Bushfire. 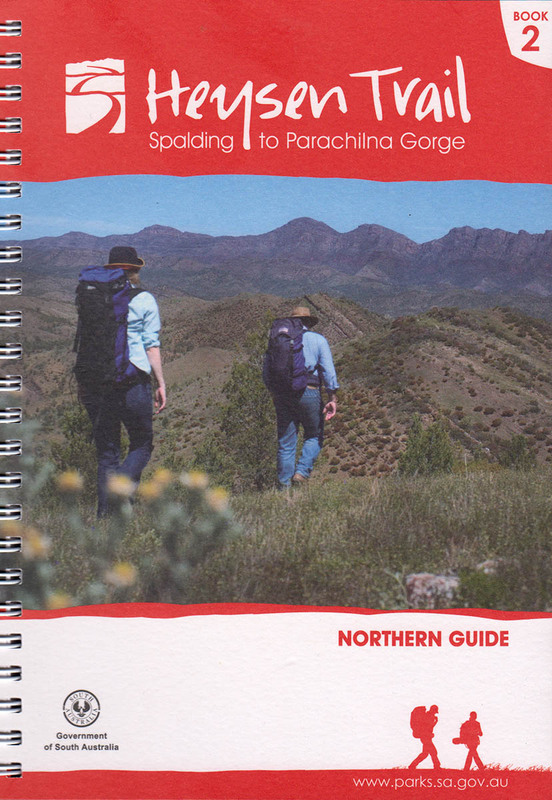 The temporary 44km re-route replaces a 41km section of the Heysen Trail and affects the Northern Guidebook from Map 2.3 through to Map 2.8. The re-route trail is marked, and takes the trail along roads through Laura. The re-route continues along the shared-use railtrail, and along backroads to rejoin the original trail alignment south of Murraytown. Wirrabara Forest remains closed indefinitely to the public due to the risk of falling trees and to allow salvage harvest operations. Forest access is limited to eastern areas. Beetaloo Tank Camp Site is still accessible. It has suffered some damage but is functional. Following the January 2014 Bangor/Wirrabara Bushfire the Heysen Trail has been restored and re-marked to the original Heysen Trail route over The Bluff. This removes the 44km temporary re-route which went around the entire forest and via the town of Wirrabara. Two small temporary re-routes are in place on Sheepsyard Track (minor), and along Block Nine Road. A new walking trail has been constructed around the western side of the summit to provide views of the north-west of the park and Spencer Gulf. A short walking trail extends from the Heysen Trail to the summit. A second stage of walking trail will be constructed soon. As part of these works, the Summit Camp was closed and the hikers’ shelter water tank removed. Melrose and Grays Hut are nearby. This re-route takes the Heysen Trail off of the bitumen roadside and takes in along the vegetation corridor above the bitumen road. The re-route begins where the dirt road Hancocks Lookout Road meets the bitumen Main North Road (which goes through Horrocks Pass), and ends at the Horrocks Memorial. This re-route begins at Middlesight Water Hut and continues to Brachina Gorge Road. The re-route has been installed to avoid an eagle nesting area. Please do not follow the original trail alignment.